Mark your calendar and plan to attend the "Taking Charge of Your Health" screening event from 4-7 pm on March 8, 2012 at the Carew Medical Park, first floor atrium at 1818 Carew Street. 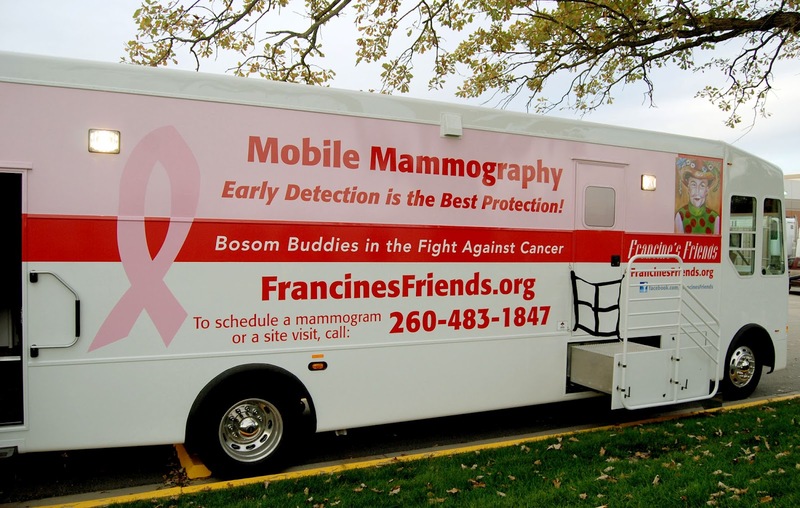 The Francine's Friends mammography coach will be onsite for screenings, and BDC in Carew will stay open to help with any overflow. Other screenings and/or services include blood pressure, oral health screening, bone density screening, PSA (prostate-specific antigen) blood test, colorectal cancer home test, skin cancer screening, smoking cessation, and vision screening. Hosted by the Colorectal Cancer Awareness Network and presented by the Parkview Comprehensive Cancer Center in conjunction wiht American Cancer Society, the event also includes a presentation by Virendra Parikh, MD, Parkview Physicians Group – Colon & Rectal Surgery, on screening for, and preventing, colorectal cancer. Representatives from various local organizations will be available to answer questions as well as provide important health information. Dr. Parikh’s presentation begins at 5:30 p.m. Light refreshments will be provided. Free parking is available in the adjoining parking garage. For more information, call (260) 266-9180. Hope to see you there!